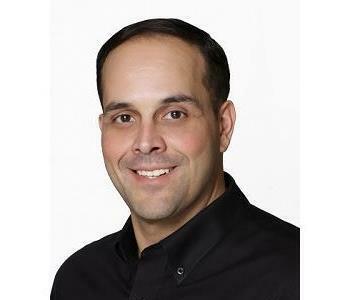 Jorge Gutierrez is the General Manager at SERVPRO of Rockville-Olney and SERVPRO of Silver Spring North. He has been with the company 7 years and is IICRC certified in WRT/ASD/CDS/FSRT/OCT. He is also a certified member of the American Biorecovery Association. Jorge is a graduate of the University of Maryland, where he received a bachelors degree in Business Administration. Jorge and his wife, Michelle, have 4 children. Outside of SERVPRO life, he enjoys coaching his children in sports, attending University of Maryland sporting events, and golf. Go Terps! 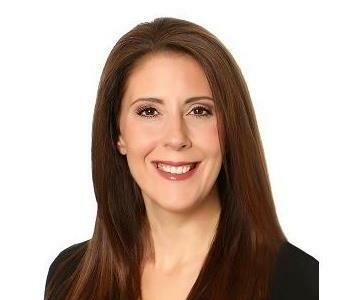 Michelle Gutierrez is the Accounting Manager at SERVPRO of Rockville-Olney and SERVPRO of Silver Spring North. She has been with the company 15 years and is certified in IICRC WRT. Michelle graduated with a bachelors degree in Communications from Towson University. Michelle and her husband, Jorge, have 4 children. 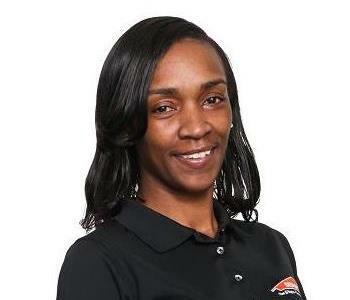 Outside of SERVPRO life, Michelle enjoys watching her children play sports, traveling and running. 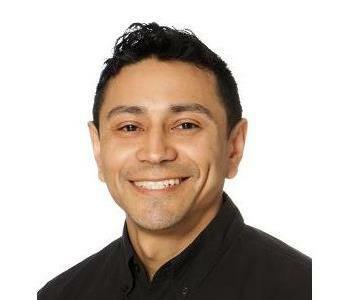 Alex Chavarria has been the Production Manager for SERVPRO of Rockville-Olney and SERVPRO of Silver Spring North for 7 years. He is IICRC WRT/ASD/CDS/HST/FSRT/OCT/AMRT as well as a member of the American BioRecovery Association. He enjoys spending time in Downtown Frederick, volunteering at soup kitchens and he hopes to run for public office one day! 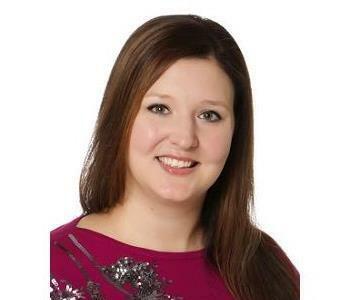 Megan Sweeney has been the Office Manager for SERVPRO of Rockville-Olney and SERVPRO of Silver Spring North for 4 years. She is IICRC WRT/AMRT certified. Megan is a 3 sport varsity athlete and she attended University of Maryland as a College Park Scholar. She is currently completing her degree in Sociology. In addition to earning her real estate license, she works with Special Olympics and dabbles in Interior Design. Megan enjoys going to concerts and sporting events, reading, writing, puzzles of all kinds and spending time with family and friends! 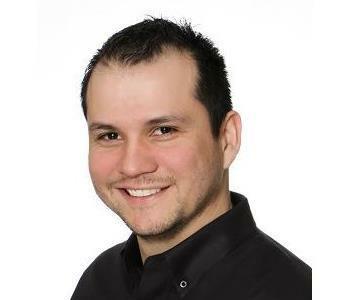 Rodrigo Landaverde has been the Operations Manager at SERVPRO of Rockville-Olney and SERVPRO of Silver Spring North for 15 years. He is currently pursuing a bachelors degree in Business Administration from the University of Maryland University College. 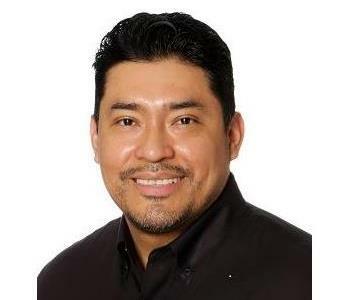 Rodrigo also serves as Chair of the Social Responsibility and Community Service committee at our franchises which has led to the company to helping build houses for Habitat for Humanity Metro Maryland, and also volunteering community service hours at the Rockville fire station. He is IICRC WRT/CCT certified as well as a member of the American Biorecovery Association. Rodrigo also serves on the board of directors for the International Public Management Association for Human Resources, Montgomery County Chapter. Outside of SERVPRO life, Rodrigo is a amateur geologist, loves nature and traveling with his husband Edwin. They have visited 40 states! 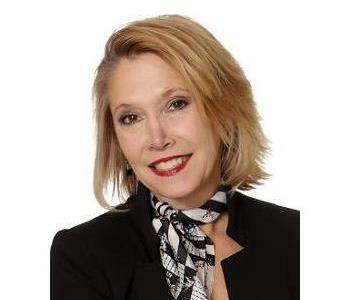 Ramona Drieu has 33 years in Business Development. 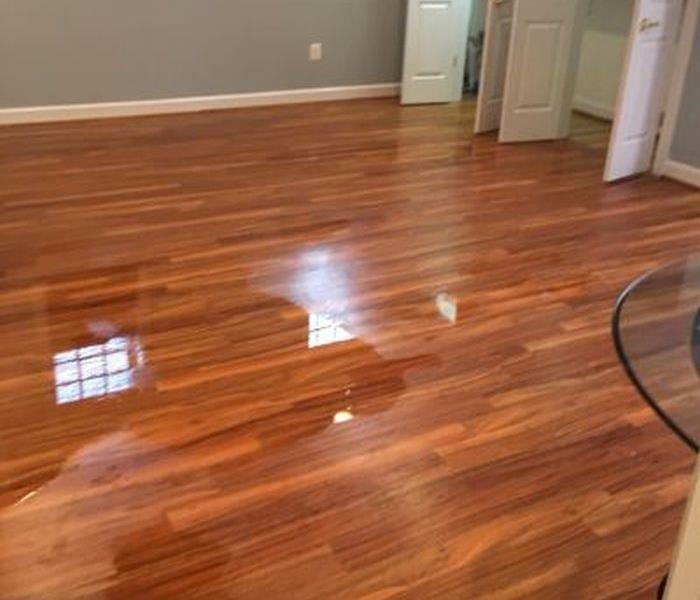 She has been with SERVPRO of Rockville-Olney and SERVPRO of Silver Spring North for 5 years. Ramona is IICRC WRT/AMRT Certified. She has 2 children, Daniel and Rhianna. She is a huge animal lover and currently has 3 chihuahuas, Remy, Reese and Rascal and a cat named Rio. In her free time, Ramona enjoys getting together with friends and spending time with her family. She also enjoys cooking, gardening, staying active and being outdoors. She likes traveling and is an avid Cardinals baseball fan. Go Cards! 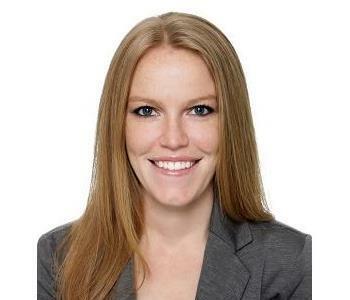 Melissa Richards has been a Job File Coordinator at SERVPRO of Rockville-Olney and SERVPRO of Silver Spring North for 3 years. Melissa is IICRC WRT certified. She enjoys volunteering with various organizations, reading and spending time with family. 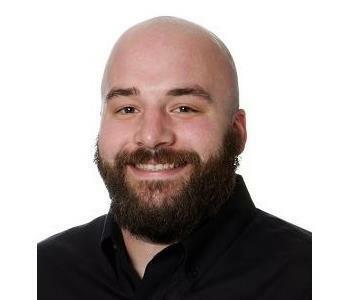 Anthony Krichbaum has been the Reconstruction Project Manager at SERVPRO of Rockville-Olney and SERVPRO of Silver Spring North for 4 years. He has a bachelors degree in Business from the University of Maryland University College as well as an MBA. He is IICRC WRT certified. Outside of SERVPRO life, Tony and his wife are keeping busy with a one year old little boy! He also enjoys playing golf and watching or attending any sporting event. Gary Amaya has been the Reconstruction Estimator for SERVPRO of Rockville-Olney and SERVPRO of Silver Spring North for a year. He has 20+ years in the restoration industry and over 4 years as a reconstruction estimator. Gary is IICRC Certified in CCT, FSRT, WRT and OCT. He is also certified in Lead Renovation, Repair and Painting. Gary and his wife, Len, enjoy traveling, dining out, movies and spending time with family and friends. He loves all sports and his favorite football team is the Redskins! Candace Tash has been a Accounting Administrator for SERVPRO of Rockville-Olney and SERVPRO of Silver Spring North for 13 years. She is IICRC WRT certified. Candace graduated from the University of Maryland University College with a bachelors degree in Social Science. She enjoys traveling with her husband Alec, swimming and flying in bug smashers. 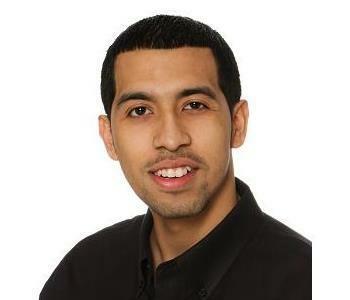 Alexis Reyes has been a Project Manager for SERVPRO of Rockville-Olney and SERVPRO of Silver Spring North for 3 years. He is IICRC WRT certified. Alexis and his wife have a 1 year old son. Outside of SERVPRO life, he and his wife serve at a Christian Church and help spread the gospel. He enjoys doing outdoor activities with his son as well as road trips with friends and family. Michelle Plummer has been the Reconstruction Coordinator for SERVPRO of Rockville-Olney and SERVPRO of Silver Spring North for 6 months. 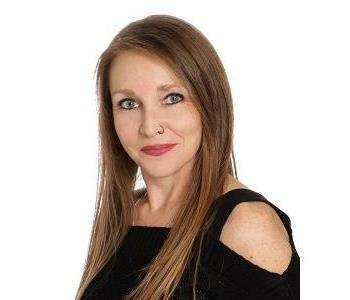 Prior to joining our team, Michelle had 4 years experience of being an office manager. She grew up in Montgomery County and is a mother to 3 wonderful children, a boy and 2 girls. Outside of SERVPRO life, Michelle loves spending time with family and friends. Her favorite things to do are go shopping and beach vacations!